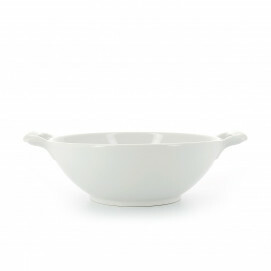 Our Belle cuisine deep round baking dish is part of the bakeware essentials. 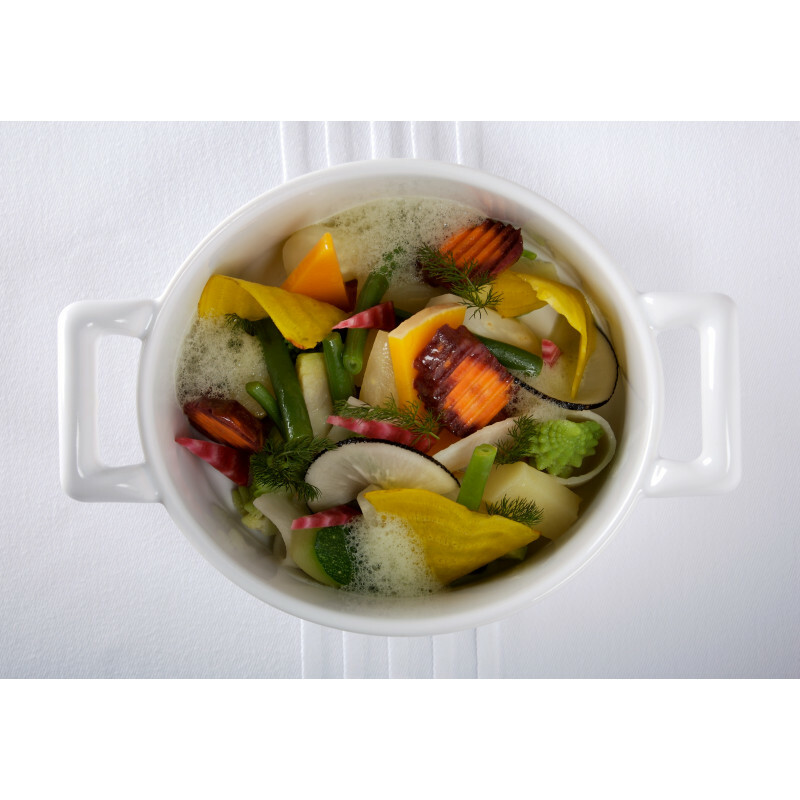 Made of high-resistant culinary porcelain, you can bake and serve vegetables or any type of casserole or dessert. Perfect bridal shower gift! The sturdy handles were conceived for an easy grip; resistant to thermal and mechanical shock, you can use the baker in the oven and microwave and clean it easily in the dishwasher. 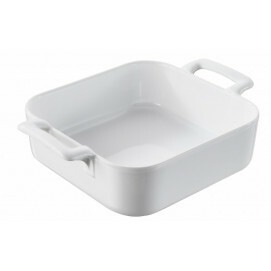 Another nice feature about it is that it holds the heat very well, maintaining your dishes warm for a longer time. 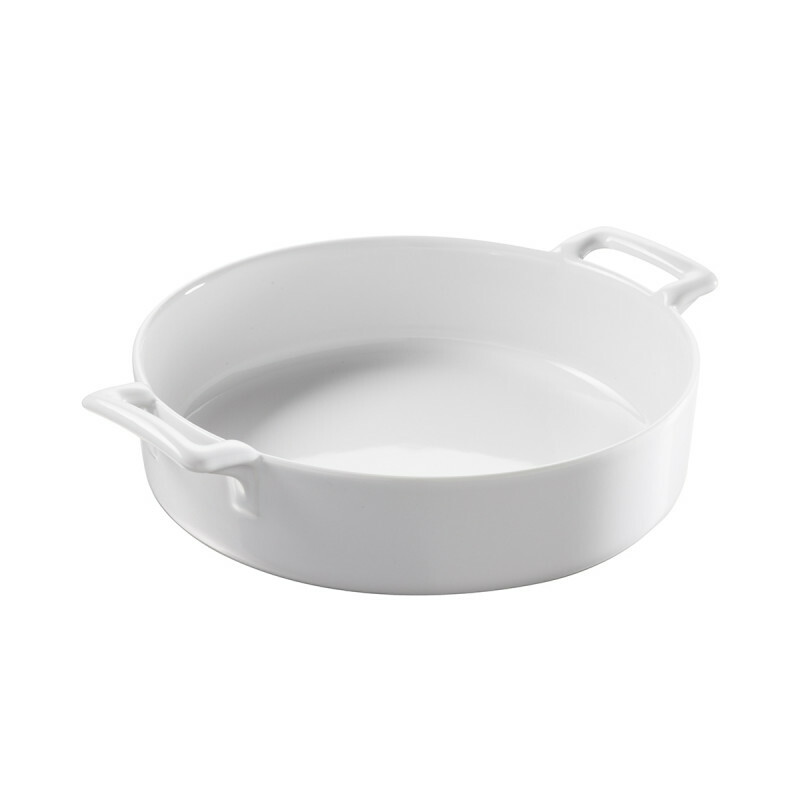 The dish does not scratch, does not craze and will remain white even after countless dishwasher cycles. 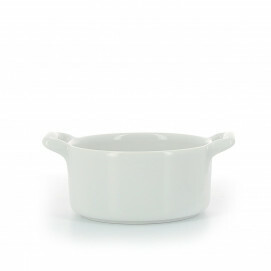 A must-have piece convenient for everyday use and making great good simple food! SERVING SUGGESTIONS: Casseroles, vegetables, desserts.